Just when your heart is about to stop, the foundation’s owner Eduardo Serio turns back to the panther and the two… start goofing around! The panther, named Kal-El, even gives him a cheeky kiss! “Animals are not something to be owned as property,” the foundation’s website states. “They are living beings, just like you and me, and should be treated accordingly. 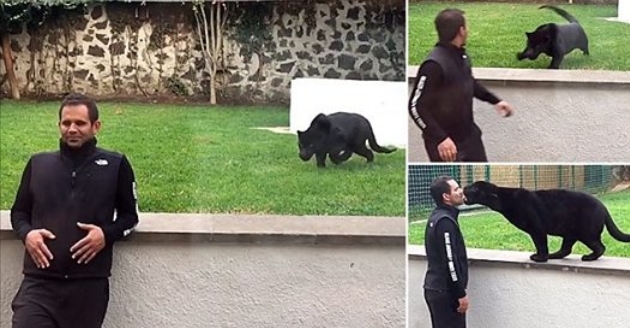 Responses to "Panther Attacks Sanctuary Owner From Behind… With A Kiss"